To be or not to be… that is not the question, says Thich Nhat Hanh. Beyond the choice between being and nonbeing is the reality of interbeing. I live in Plum Village, in the Dordogne region of southwest France, an area known for its sunflowers. But people who come to Plum Village in April do not see any sunflowers. 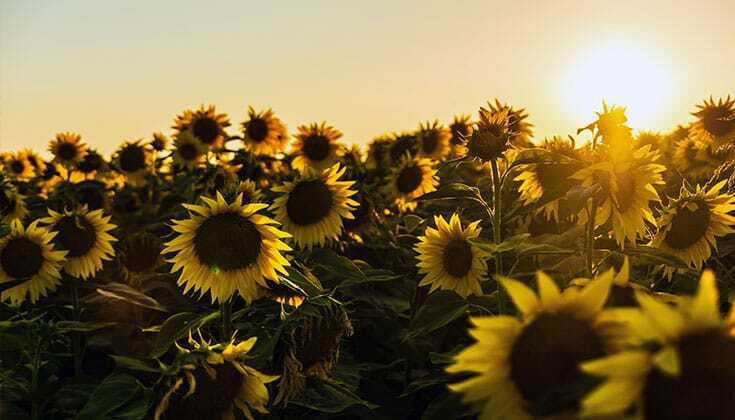 They hear people saying that there are many sunflowers around, but they cannot see them anywhere. 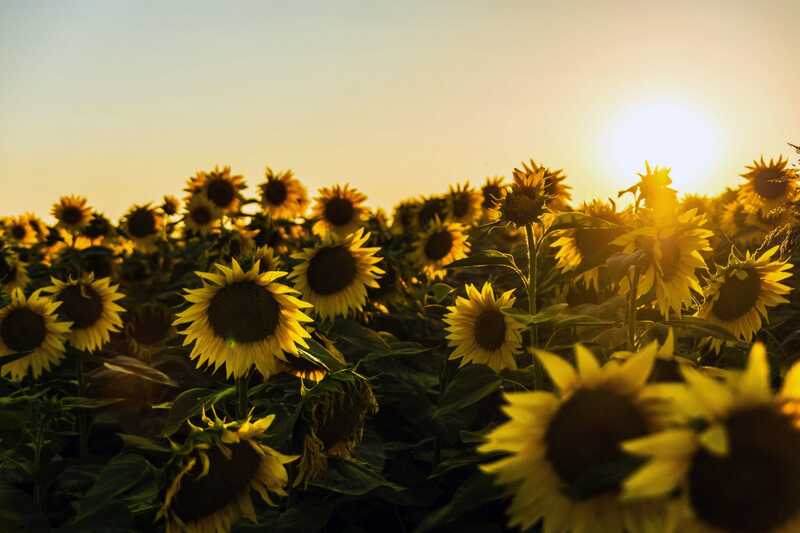 However, if you ask the farmers in the region, they will tell you that they can see the sunflowers very well, because they have already sown the sunflower seeds. They have ploughed the earth, sown the seeds, and spread manure. They know that there only needs to be one more condition for the sunflowers to manifest. That final condition is warmth. 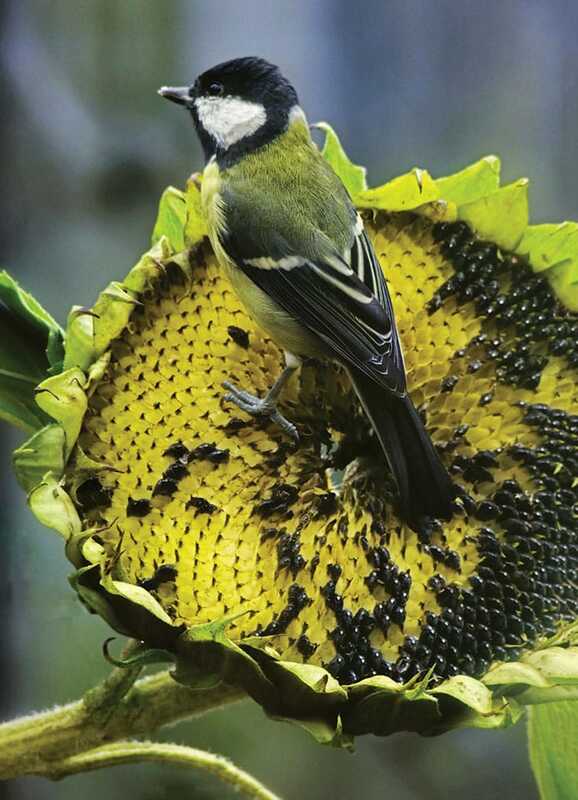 As the weather begins to warm up, the sunflower seeds will sprout, and, if the weather continues to be warm in June or July, the sunflowers will bloom. So the farmers can see things that the visitor cannot yet see. We say that there isn’t a sunflower here because we cannot see all the latent causes and conditions lying in wait. We have the tendency to think that as long as we can’t see the sunflowers, they don’t exist, and that once we can see the sunflowers, they suddenly do exist. We shouldn’t wait until we see big yellow flowers blooming in the fields to say that the sunflowers are there. They are there, just hidden. The words “do not exist” are not really correct, but the words “do exist” are not correct either. When something has not yet manifested, we tend to think that it’s in the realm of nonbeing, and when it manifests we say that it’s in the realm of being. But the two categories of being and nonbeing do not correspond to reality. That is why we shouldn’t wait until we see big yellow flowers blooming in the fields to say that the sunflowers are there. They are there, just hidden, and whether or not we see them is only a matter of time and latent conditions. Our body is also a conditioned thing. It is a manifestation, and there are causes and conditions that need to come together for it to manifest. 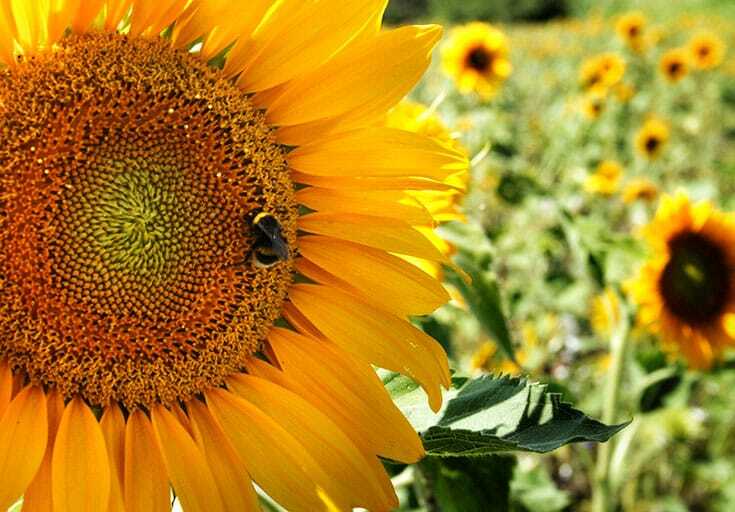 Like the sunflowers, if one of these elements is not yet there, the body will not yet manifest. 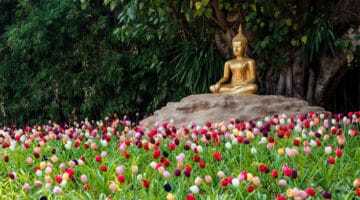 The Buddha teaches very clearly that when something manifests it does not come from anywhere, and when it no longer manifests it does not go anywhere. It is not born. It does not die. It does not pass from the realm of being into the realm of nonbeing. We can speak of two levels of truth: relative (or conventional) truth and ultimate (or absolute) truth. Ideas of birth and death, being and nonbeing, above and below, coming and going, sameness and difference, defilement and purity, increasing and decreasing, can all be called conventional truths. They are concepts that we use in daily life, and they are useful in the historical dimension, at the level of conventional truth. If we do not have a birth certificate proving our date of birth, how can we get a passport or an identity card? So birth and death are important. Above and below are important. Left and right are important. Politically you have to know whether you are on the right or on the left. If you are following your GPS, you need to know that left is not right and right is not left. At the level of conventional truth, these pairs of opposites are everywhere. There is “you” and “me,” there is “father” and “son.” Father and son are not each other; they are distinct from each other. People are different from animals. Animals are different from plants. Plants are different from minerals. At the level of conventional truth there is discrimination and separation. Things are outside of each other. One thing is not another. This is the realm of the ultimate, where everything is in everything else. But when we observe more closely, we see something different. We see the ultimate truth that things are really inside of each other. We think that father and son are two different people, but there is really no boundary between them. The father is the continuation of the son into the past, and the son is the continuation of the father into the future. This is the realm of the ultimate, where everything is in everything else. Everything interpenetrates, so the notions of inside and outside do not apply. The same is true for the notions of above and below. If we are standing in front of an elevator, we need to know if we are going up or down. We need the notions of above and below in order to know whether we will stay on the tenth floor or go to the ground floor. The ground floor must be below and the tenth floor must be above. But if we ask people in Japan sitting on the other side of the planet, they wouldn’t agree. If they could see us in the elevator going “up,” they would say we are going down. So the notions of above and below are only relatively true. In the ultimate truth there is no below, there is no above. The same is true for all other pairs of opposites: coming and going, birth and death, being and nonbeing. Photo by Ian Gowland / Science Photo Library. Birth and death, being and nonbeing, coming and going, same and different—these cannot be applied to the ultimate truth of any phenomenon. In order to touch the true nature of all phenomena, we need to find a middle way between all these pairs of opposites. When we encounter polarities, or pairs of opposites, we have the tendency to believe that one must be right and the other wrong. For example, we think that either everything exists, everything is real, or that nothing exists, nothing is real. These are the two extremes of eternalism and nihilism. Either we believe that we have an eternal soul which will live on forever, or we believe that we are just a meaningless collection of atoms and that when we die, we will be extinguished for ever and nothing will be left. 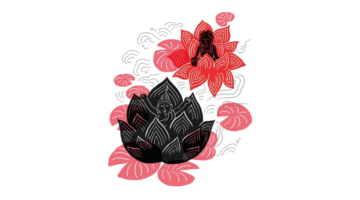 If we are wise, the Heart Sutra can help us to find the middle way between these extremes. This middle way between being and nonbeing is a state of coolness, peace, and nonfear that can be experienced in this very life, with this body and with our five skandhas. It is nirvana. We waste a lot of time trying to prove whether something exists or doesn’t exist. The traditional Chinese and Sanskrit versions of the sutra do not mention “no being and no nonbeing.” Traditionally, there are just three pairs of negations in the sutra: “no birth and no death,” “no defilement and no purity,” and “no increasing and no decreasing.” But in order to touch the ultimate truth, we need to transcend all pairs of opposites––all duality. I have added “no being” and “no nonbeing” in this new translation so that people do not fall into the trap of thinking that emptiness means nonbeing or nonexistence. The understanding of “no being and no nonbeing” helps us to understand “no birth and no death.” It helps us avoid falling into the trap of describing things as either existent or non-existent. In Western theology and philosophy we waste a lot of time trying to prove whether something exists or doesn’t exist. We are preoccupied, for example, with the question: Does God exist? For over 2,000 years people have been debating this without ever coming to any satisfactory conclusion. One group says that there is God, and the other group says there is no God. But in Buddhism, for more than two thousand years, we’ve been saying that the ultimate transcends both being and nonbeing. So if God is the ultimate, then God must certainly transcend both being and nonbeing. We cannot say that God exists, nor can we say that God does not exist, because existence and non-existence are only two faces of one reality. Interbeing means you cannot be by yourself alone; you can only inter-be. The view of “being” is one extreme view, and the view of “nonbeing” is another extreme view. We need to transcend both these notions. 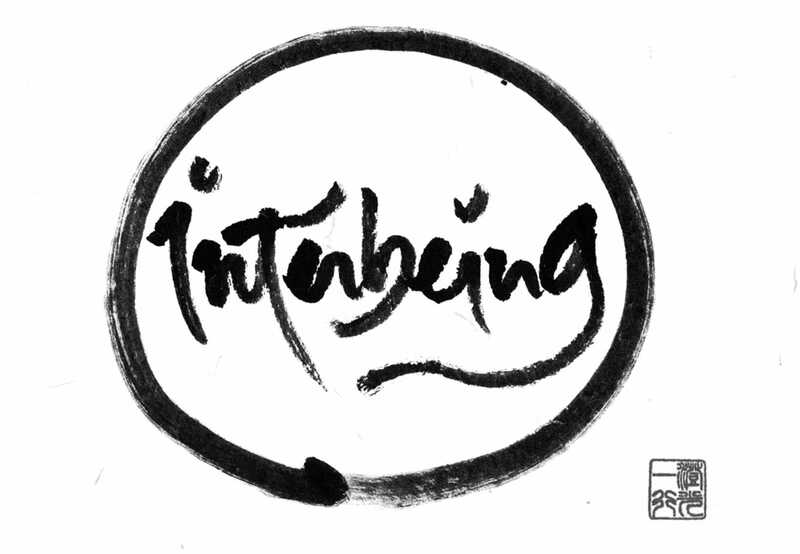 The term interbeing can help. By adding the prefix “inter” to the word “being” we have a term that is no longer the opposite of nonbeing. Interbeing has no opposite, so we can make use of it to avoid falling into the trap of dualistic thinking. The term “interbeing” still uses the word “being,” but it helps us to get out of the notion of being. So the notion of interbeing, although it is a notion, helps lead you to the ultimate truth. 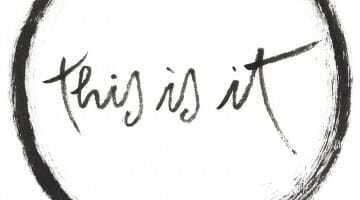 Calligraphy by Thich Nhat Hanh. Interbeing means you cannot be by yourself alone; you can only inter-be. Interbeing can connect the conventional truth and the ultimate truth, so it can lead you gradually to emptiness. Emptiness represents the ultimate truth, the true nature of reality. On this level, there is no beginning and there is no end. There is no birth and there is no death. And the notions of being and nonbeing are removed. The two notions of being and nonbeing oppose each other, and so we have to struggle. But when we speak of the ultimate truth, we use words like “emptiness,” and emptiness when used like this also has no opposite. At first, we think emptiness is the opposite of fullness, but emptiness is fullness. You are empty of a separate self, but you are full of the cosmos. So “emptiness” is an expression that we could say is equivalent to “God.” God is the ultimate, and emptiness is the ultimate. Emptiness is the absence of notions and concepts. You cannot describe God with notions and concepts. You cannot say that God is or is not. To say that God exists is nonsense, and to say that God doesn’t exist is nonsense, because notions of being and nonbeing cannot be applied to the ultimate. In the West, “to be or not to be” has been the question for more than two thousand years. But in Buddhism, being or nonbeing is not the question. We practice transcending the notions of being and nonbeing, and erase the boundary between being and nonbeing in order to see the true nature of reality. Adapted from The Other Shore: A New Translation of the Heart Sutra with Commentaries, by Thich Nhat Hanh. © 2017 by Unified Buddhist Church. To be published in May by Palm Leaves Press, a division of Parallax Press.